How can I keep my parents from being taken advantage of? There has been a lot of news lately about mortgage fraud in Utah and unfortunately many people have been taken advantage of. 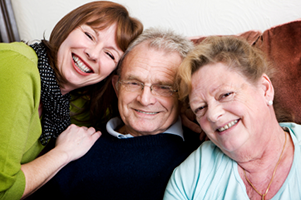 It is only natural to be concerned for your parents to make sure they don't fall victim to a scam. The great thing about a FHA insured reverse mortgage is that before the loan can be underwritten, the borrower has to discuss the loan with a counselor employed by a nonprofit organization or a public agency approved by HUD. This counseling can be very helpful to ensure your parents understand exactly what they are doing and to make sure they have all their questions answered. Once my parents pass away, what happens next? 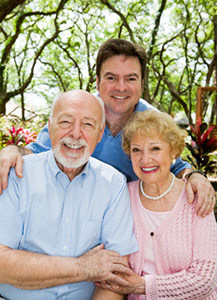 One of the top reasons why seniors get a reverse mortgage is there are no payments due. As a child or heir of someone with a reverse mortgage, the same thing will apply to the estate allowing no payments for up to 12 months following the death of the last surviving borrower. This will allow you to deal with the rest of the estate items and not feel pressure to sell or refinance. This also allows you to sell the house at the prime time of year to get top dollar! If my parents get this loan, will I lose the equity that I stand to inherit? The FHA has set up guidelines which determine exactly how much equity in the house will be available to be used in the reverse mortgage. The first guideline is age based; the older you are the more equity is available to borrow. Next, FHA has set "lending limits" that used to be on a "per zip code" basis, but recently they have been increased to $625,500 no matter where you live. No bank issuing a FHA reverse mortgage, no matter how old the client is can lend more than the lending limit. These guidelines alone help insure there is equity in the home for many years, but if not, the third guideline is a mandatory mortgage insurance that is part of the loan. If the balance of the reverse mortgage exceeds the value of the home, the mortgage insurance kicks in to pay the difference upon the sale of the home. This way those who stand to inherit the house will not be inheriting a bill! In addition to the lending limits and the equity reserve that is built into the loan, we still have natural appreciation that happens over time. The historical appreciation average in Utah is 4% per year, so even if equity is being used up by the reverse mortgage; it is being gained by appreciation. 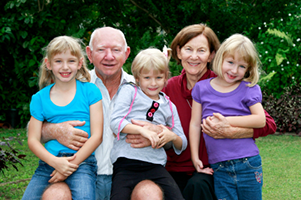 Although it is impossible to know for sure how much equity will be available for the heirs to inherit, it is nice to know that your parents will be better taken care of financially and will live a better quality of life while they are here.